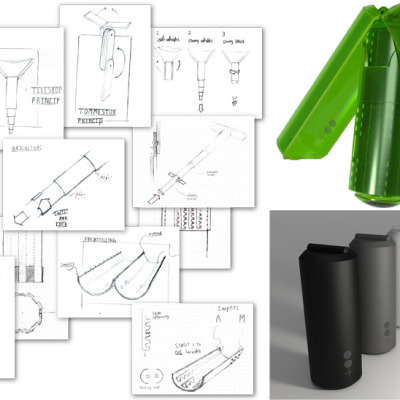 What kind of organizing products get funded (or try to get funded) on Kickstarter? Having written about the HYVE system, I wondered what else I'd find there. When I went looking, I found designers offering a wide range of interesting stuff. Anyone who carries keys and a smart phone in the same pocket might be interested in using the KeyDisk 2 to hold those keys. 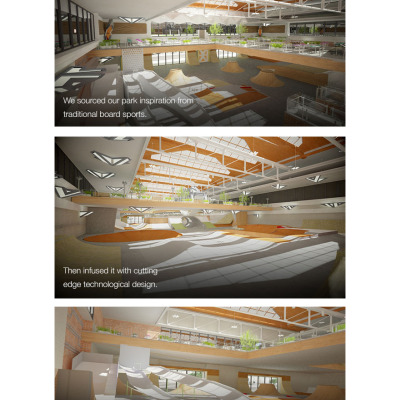 And even those who don't might be intrigued by the design. It can hold up to nine keys, and has a car fob attachment. Membership cards can fit inside, too. It's made from sandblasted and anodized aluminum and uses custom-made screws. People who funded the original KeyDisk are coming back to fund this updated version, which is slightly lighter and holds more keys. The one disadvantage is finding the right key quickly; you need to remember where each key is relative to the KeyDisk logo. This product has already met its funding goal, and will go live on Dec. 5. For those who aren't happy with the multitude of cable organizers currently on offer, there's the Cablestop. Cablestop has a polycarbonate body and two stainless steel interior weights. The plans are to manufacture Cablestop in Portugal; this makes it more expensive than products made in lower-cost countries, but it also means it will be made with significantly lower pollution. The designer, Philippe Guichard, is both an industrial designer and a mechanical engineer and has over 20 years of experience. Cablestop has until Nov. 4 to meet its funding goal. 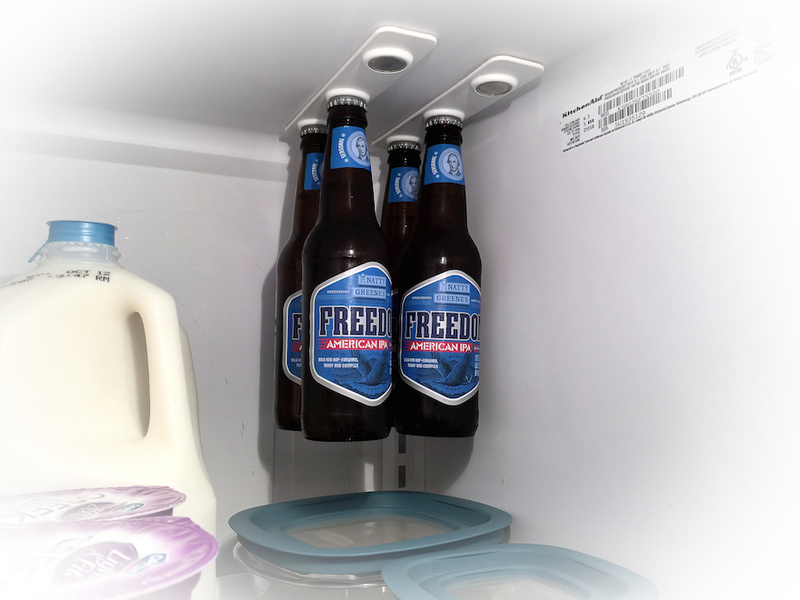 End users who want to make the most of their refrigerator space might be interested in bottleLoft, a magnetic bottle holder for the refrigerator. The plastic rail is held in place with a strip of 3M VHB (very high bond) tape, a special low temperature application grade suitable for a refrigerator. The bottleLoft can be removed using a plastic putty knife/scraper to shear the adhesive sideways, and replacement adhesive strips will be made available. 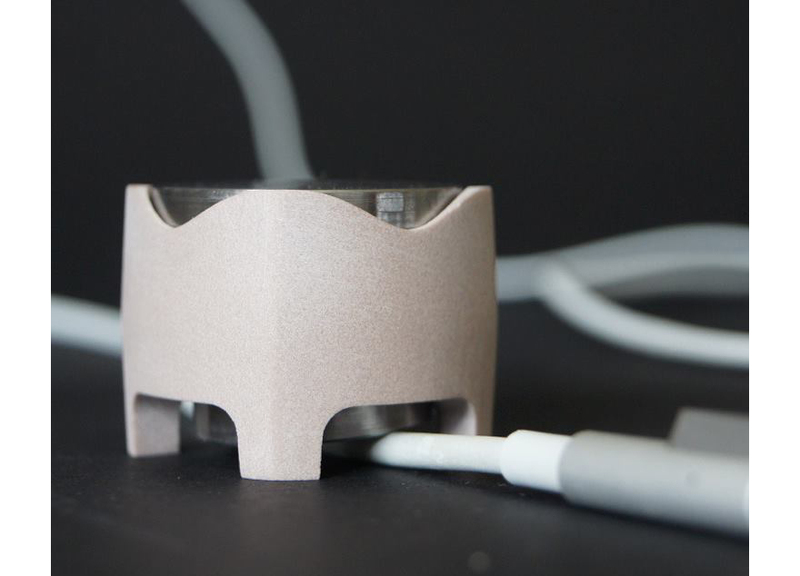 The designer, Brian Conti, has had four other Kickstarters that funded, including one for Strong Like Bull magnets—and this Kickstarter has met its funding goal, too. It goes live on Nov. 9. 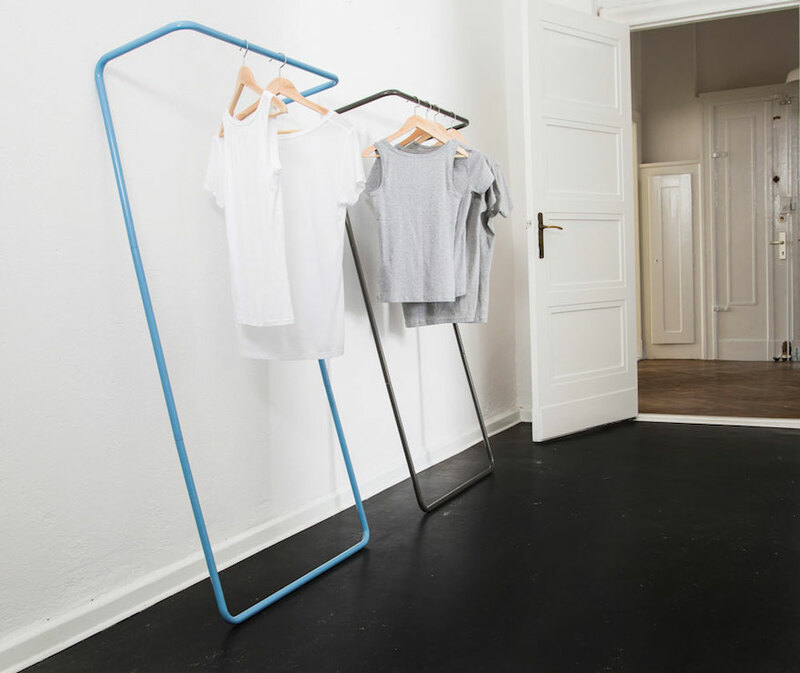 Untitled Rail is a leaning clothes rack from product/industrial designer Marc Schulthess. End-users in homes with insufficient closet space might well appreciate such a product—and it could work well in an office setting, too. Untitled Rail is made from 2mm thick carbon steel, and finished with a powder coating paint. It comes in two sizes, and each one ships in four parts. It's assembled using an Allen key. There are somewhat similar products already in the marketplace, such as the Lean On from Cascando—but that sells for substantially more than the Kickstarter pricing for the Untitled Rail, which has until Nov. 3 to meet its funding goal. Although there are many wall calendar designs already available, designers keep creating new and interesting options. 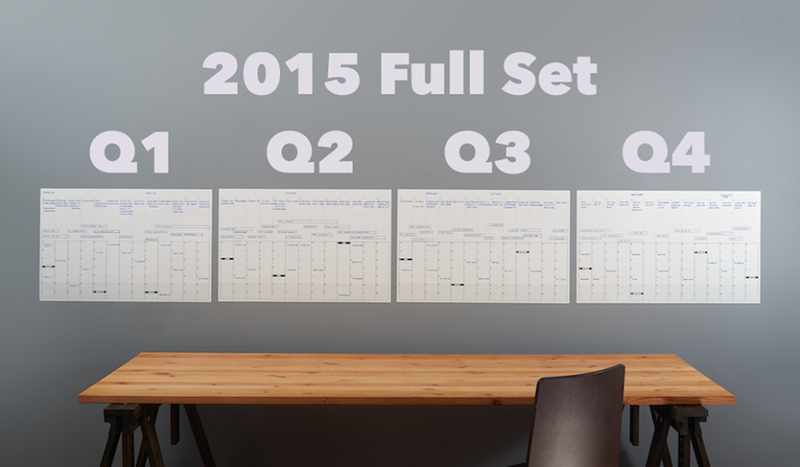 The Pivot Calendar is actually a set of four wet/dry erase wall calendars, one for each quarter of 2015. 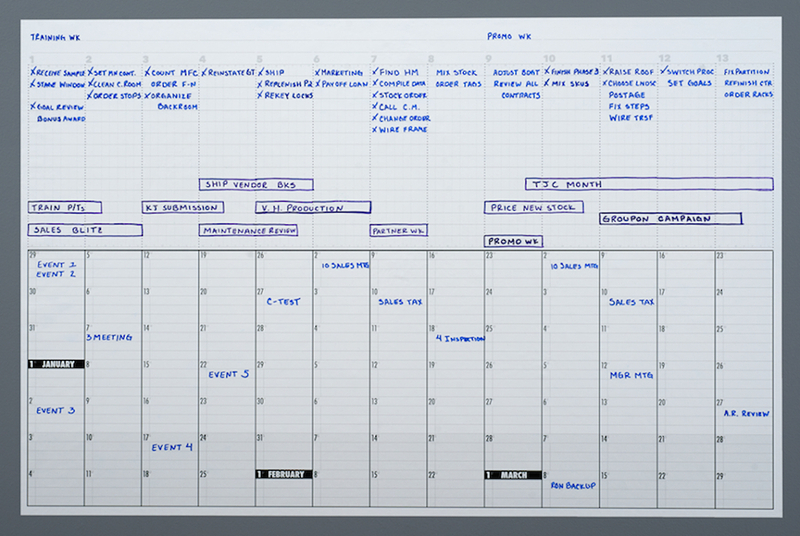 The weeks are displayed in columns, rather than the more usual rows—that's the pivot—and there's space along the top to note weekly tasks or sketch out a project timeline. The calendars are large enough to have plenty of room for writing. Q1, Q2 and Q3 are each about 1'5" tall and about 2'1" wide; Q4 is 2'3" wide, because it has one more week than the other quarters. The back side of each calendar is coated with a repositionable adhesive with a peel-away backing (similar to the peel-away backing of a bumper sticker). 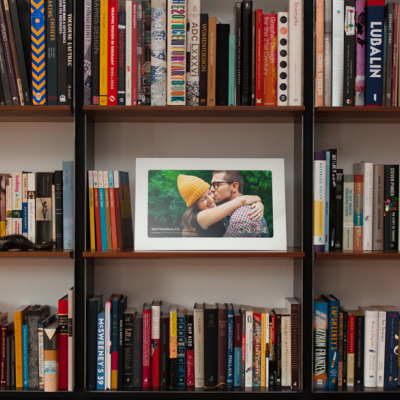 The Pivot Calendar has until Nov. 16 to be funded. 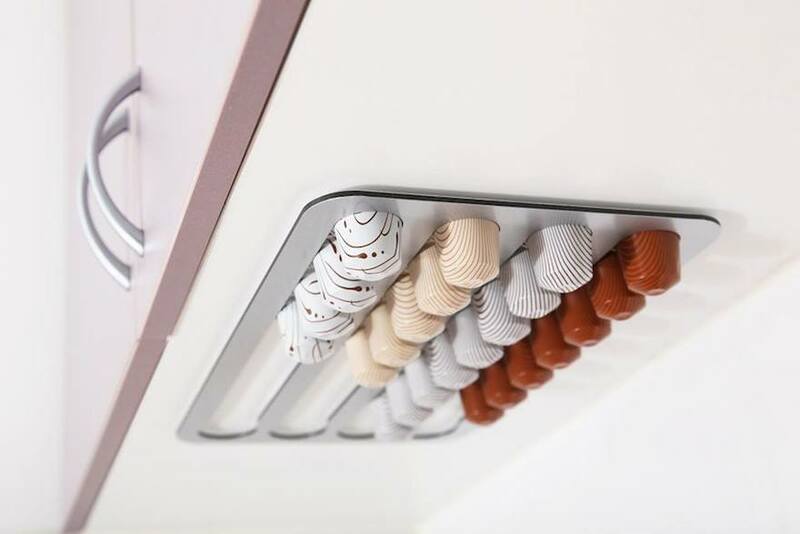 The Abacus Pod Rack holds 36 Nespresso pods. It mounts vertically or horizontally, using adhesive strips; it could go under a cabinet or inside a cupboard door (if the door was large enough.) I can see this being used in both the home (especially with an under-cabinet mounting) and in offices. This one has until Nov. 6 to meet its funding goal. The Mag Rack coffee tables provide a nice place to store some magazines. 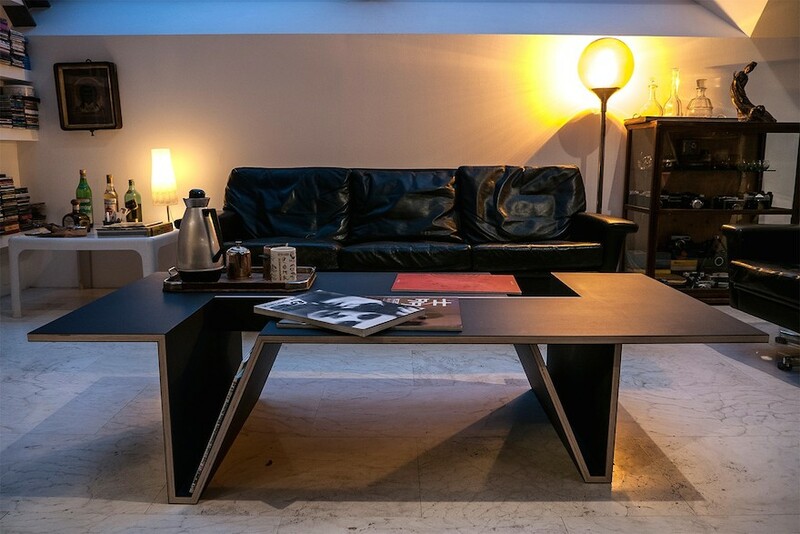 The tables are made of plywood boards coated with high quality furniture desktop linoleum made in Holland and MDF boards coated with acrylic made in Italy. 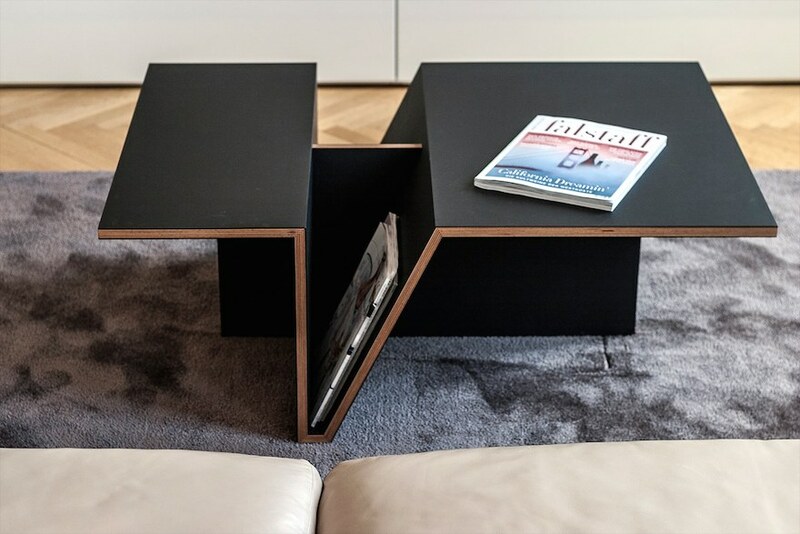 Other designers have created coffee tables with magazine storage, such as the Offi magazine table, but this design provides more tabletop space than many, and focuses (as many others don't) on making the magazines somewhat inconspicuous. This Kickstarter comes from Nikola Popovi&cacute;, an Austrian and Croatian architect and designer; it has until Dec. 11 to get funded. 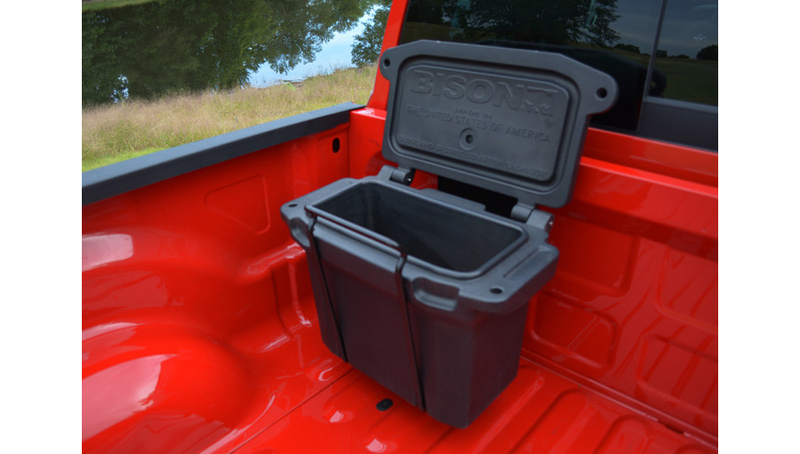 The BISON TRUCK-CAN was designed to take less space in a pickup truck's bed than other boxes, which might take up as much as 1/3 of the bed space. Also, unlike some other boxes, it doesn't require the end-user to bolt anything to the truck; rather, the mounting base (made from extra thick 12 gauge steel) clamps on. The can itself is easily removed, so it can be used as a portable tool box, as a litter bin to be dumped out at home, etc. (It can also be stored inside the truck to protect from theft when making stops.) The TRUCK-CAN comes from Randy Jackson; through his work in product design and development, Randy has brought dozens of products to life over the past 15 years. This one has until Nov. 15 to meet its funding goal. 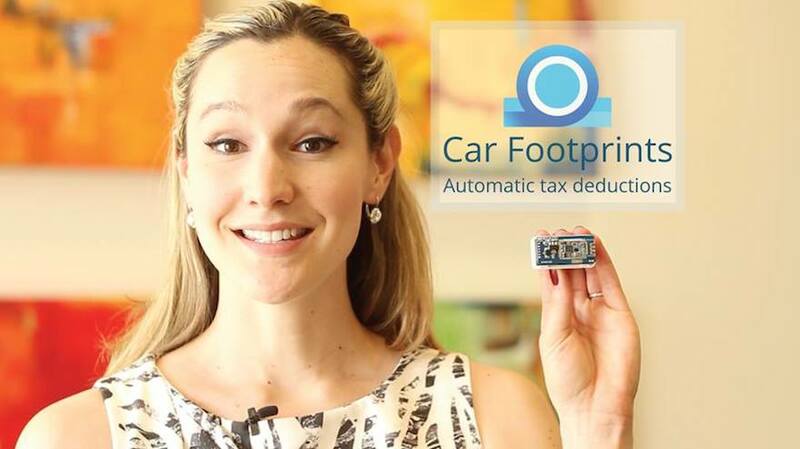 Car Footprints is designed to automate milage tracking for tax purposes, so end users have a record of miles driven for business, medical purposes and charity. There's an adapter that plugs into the vehicles's OBD-II port, and iOS and Android apps that receive the data. Car Footprints also saves the data into the end user's account within the carfootprints.com website; from there, the data can be exported for use with Excel or other programs. The service has a $5/month subscription fee. While automating mileage tracking sounds good, the end-users will still need to go into the data (either on their phones or on the website) and classify their trips, so Car Footprints is far from a totally automated solution to mileage tracking. Simple paper logs or mileage-tracking apps will work better for many end users, but some might be intrigued by this unusual option. The Kickstarter has until Dec. 5 to get funded. The hanging things by their ferrous caps / lids idea is good, but the product seems overly beer-focused (no love for beer in cans, either), but I have a roll of VHB and a bunch of NdFeB hard drive magnets... so my olives and kimchi can hover over the top shelf, too - worth a test, if not a Kickstarter. 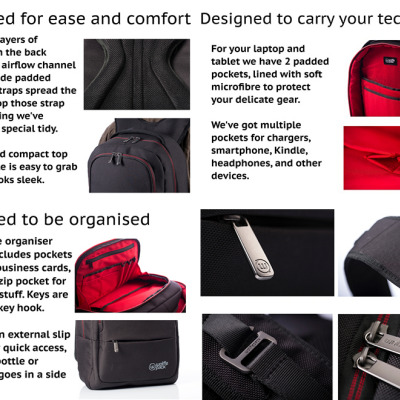 The Wolffepack: A Backpack Designed to Flip Around to the Front!